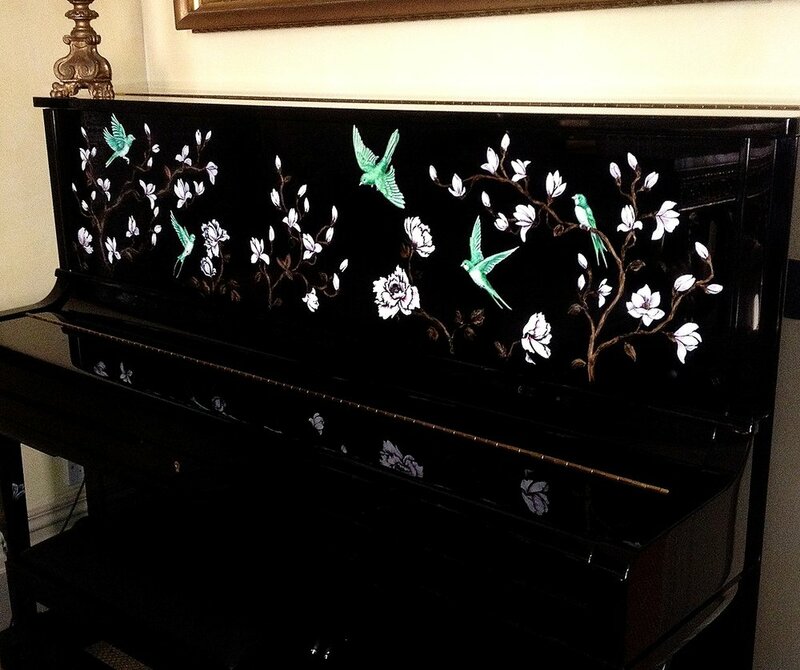 I had always wanted to paint my piano, and had never actually gotten around to it. Imagine my delight when I was approached to paint this modern piano. We chose a traditional design to compliment the nearby wall-sized chinoiserie screen. They (and I) were very happy with the transformation! What a great way to customise such a large (and normally plain) piece of furniture. Now it is a thing of beauty even when its not being played!